One of the things that I wish that I had done when started this blog was to build pages like Larry Ferlazzo's "Best Resources for X" lists. Instead, I have relied on people using the search box on this blog to find the resources that they need. That's why from time to time I will publish a list like this one to organize some of my current favorite resources for a particular subject area. Here are ten good resources for math teachers and their students. Expii Solve is a series of more than fifty sets of mathematics word problems. Within each set there are five problems aligned to a theme. For example, there was recently a set of Thanksgiving themed problems. The problems within each set on Expii Solve vary in difficulty so that you can pick the one(s) that best suit your students. Or you can let your students register on the site and self-select the problems that they want to tackle. In fact, that is how the site is intended to be used. Students can get instant feedback on their answers to the problems that they try to solve. Students who need a bit of help solving a problem can avail themselves of tutorials linked at the bottom of each problem page. Would You Rather? is a website maintained by John Stevens for the purpose of sharing quick and fun math challenges for students. Would You Rather? presents a picture with a mathematics problem that asks "would you rather?" Most of the questions have a financial aspect to them. One of my favorite examples is this challenge that asks "would you rather go on a 5 minute shopping spree in the store of your choice or get a $2,000 gift card to the store of your choice?" Would You Rather? offers a simple worksheet that your students can use to analyze the choices presented to them in the challenges. Math Pickle is a free site that offers dozens of fun and challenging math puzzles for students of all ages. The puzzles are designed to foster collaborative problem solving over the course of 45 to 60 minutes. Almost all of the puzzles are presented as a series of small, connected problems that students need to solve to complete the puzzle presented to them. The puzzles can be viewed as slides and or downloaded as PDFs. XtraMath is a free service designed to help teachers and parents help their students learn basic mathematics. The service provides an online environment in which students complete practice activities that are recorded and shared with teachers and parents. Teachers can create classroom accounts in which each child has his or her own log-in credentials. Parents can also be given log-in credentials to see how their children are progressing. XtraMath offers materials seven languages. Those are languages are English, Spanish, French, German, Italian, Portuguese, and American Sign Language. ADA Project is a great resource being developed by a mathematics teacher named Sam Powell. The ADA Project is an open multimedia mathematics textbook that covers everything from basic arithmetic through calculus. When you visit the ADA Project's home screen you can choose a category then choose a topic. Within each topic you will find a set of sample problems. Each sample problem is accompanied by a link to reveal the answer, the solution, a video about the solution, and a link to a discussion forum. Take a look at this set of long division problems to get a sense of how the ADA Project works. Teachers are invited to contribute to the ADA Project's development by submitting problems, solutions, videos, and discussions. The submission form is found here. I cannot publish a list like this one without including GeoGebra. 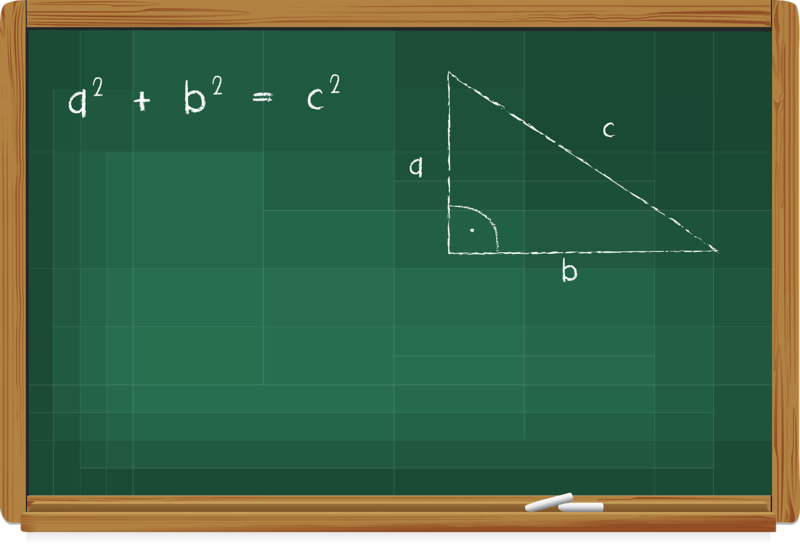 GeoGebra is a free program that math teachers and students can use to build interactive models of problems and concepts. Over the years I have had friends and colleagues who teach mathematics rave about the capabilities of GeoGebra for modeling functions and graphing equations. GeoGebra has a huge community of users who share ideas and tutorials for using GeoGebra in a wide variety of settings. You can join that community here. The GeoGebra YouTube channel is probably the best place to find tutorials to help you get started using GeoGebra on your laptop, tablet, or Chromebook. Geoboard is a free app on which students stretch virtual rubber bands over pegboards to create lines and shapes to learn about perimeter, area, and angles. The app is available as a Chrome app, as an iPad app, and it can be used directly in any modern web browser. Desmos is a free graphing calculator that you can use in your web browser on a Chromebook or any other computer using the Chrome browser. It is also available for mobile phones. Desmos has a robust website full of activities and lessons to use in your classroom. EquatIO is a popular tool that math and science teachers like to use for using handwriting, equation and formula prediction, and graphing in Google Forms, Sheets, Slides, and Drawings. The service is provided by TextHelp who also makes the popular Read & Write add-on for Google Docs. A couple of months ago TextHelp announced that EquatIO is free for teachers to use. To get a free teacher account just create an account on TextHelp then complete this form. Upon approval, you will be granted access to all of the premium features that EquatIO offers. Photomath was the first app that I remember having the capability to let students snap a picture to get the answer to a math problem. It will not only show students the answer it also shows the the steps required to solve a math problem. Photomath is available for Android and iOS.